Karl “Charly” Willius was born on 5 November 1919 at Mainz-Kostheim. Willius was posted to JG 51 on 17 May 1940. Obergefreiter Willius was assigned to 8./JG 51. He claimed his first victory on 18 August 1940, when he shot down a RAF Spitfire fighter near Ramsgate. Unteroffizier Willius participated in the invasion of Russia. He claimed his first victory over the Eastern front on 22 June 1941, the opening day of Operation Barbarossa, when he shot down a Russian SB-2 twin-engine bomber. On 13 July, Willius claimed two Russian DB-3 twin-engine bombers shot down to record his 10th and 11th victories. On 14 July 1941, Willius arrived at JG 26. Unteroffizier Willius was assigned to 3./JG 26. He claimed his first victory over the Channel front on 8 December, when he shot down a Spitfire near Boulogne for his 13th victory. Willius recorded his 20th victory, another Spitfire shot down near Arques, on 23 May 1942.  He was awarded the Deutsches Kreuz in Gold on 15 October 1942 for 22 victories. Feldwebel Willius was posted on an instructing tour on 16 January 1943. Willius returned to 3./JG 26, now based in Russia, on 31 March 1943. He was to claim nine victories here, including three Russian Pe-2 twin-engine bombers and a MiG-3 fighter on 13 May for his 26th through 29th victories. Willius had 33 victories to his credit when I./JG 26 relocated back to the Channel front. In August 1943, Willius transferred to 2./JG 26. He was appointed Staffelkapitän of 2./JG 26 on 25 November, replacing Hauptmann Wilhelm Gäth (14 victories) who was taking up the position of Gruppenkommandeur, II./JG 26. 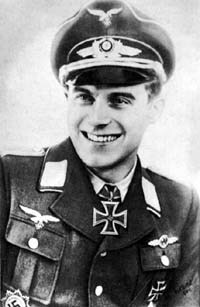 Leutnant Willius achieved his 40th victory, a USAAF B-17 four-engine bomber shot down near Cousolre, on 4 February 1944. On 8 April 1944, Willius made a head-on attack against a formation of USAAF B-24 four-engine bombers. His target dropped out of formation in flames and became his 50th, and last, victory. The Fw 190s climbed back into the sun following their attack. As they were reforming, USAAF P-47 fighters bounced them. Willius’ Fw 190 A-8 (W.Nr. 170 009) “Black 5” was seen to spin into the ground and explode. His body was not recovered until 1967, buried in his aircraft in a Dutch polder. Willius was awarded a posthumous Ritterkreuz on 9 June and promotion to the rank of Oberleutnant. “Charly” Willius was credited with 50 victories in 371 missions. He recorded 17 victories over the Eastern front. Of his 34 victories recorded over the Western front, 11 were four-engine bombers and 16 Spitfires.